En Weg Ek Gaan: Mozambique! For the break five of us ventured all the way up to Mozambique! We flew out of Cape Town Sunday afternoon, and arrived to Johannesburg in the evening. From there we took an Intercape bus (which is comparable to a Greyhound bus) overnight for 9 hours. We got to the boarder of Mozambique at 7 am Monday morning, and had to go through customs etc. in order to get across. Besides the long line it was much easier than we had anticipated however I’m sure the fact that we had gotten our travel visas ahead of time was a huge help. It was a very surreal sight walking across the boarder and seeing all the cops strolling around carrying fully loaded AK-47s. 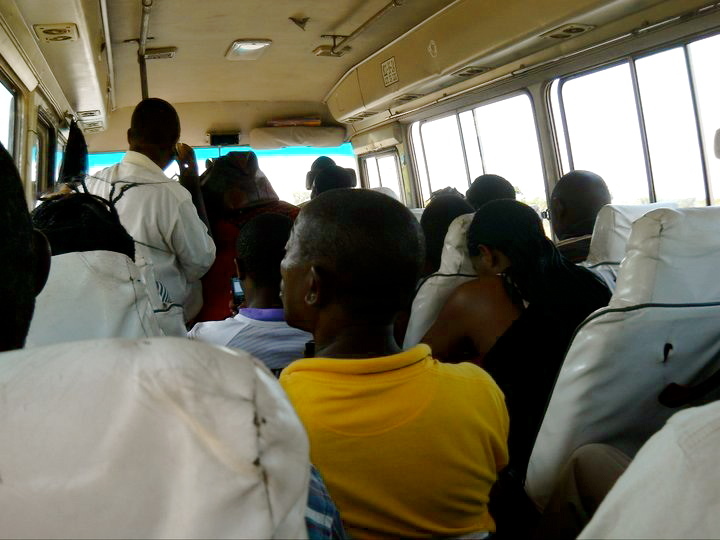 After crossing the boarder we hopped back on the bus and drove further north several more hours until reaching Maputo. We had little time to explore a lot of Maputo, but sadly it is very rundown and dirty and the economic stress in the city is very apparent. It was hard to get over my first impression of the city as well... Right as we were driving into the city we came to a major roundabout, where we saw, in the water around the center part, a naked woman (to say it politely) going number two. As always, make sure you click on the pictures to see them in full quality! Hard to tell, but we were so crammed! There is also no commercial post in Mozambique, so all packages and massive bags of food that people transport to sell were spread and stacked across the little floor space. Needless to say, by the time we got to Tofo, we were exhausted but so happy to be in such a beautiful place. Tofo was absolutely stunning. The hostel we stayed at was literally right on the beach, so we occupied our days with swimming, lounging, reading, relaxing, etc. It was off-season for tourists as well, so we had the luxury of being nearly the only ones on the beach. We ate lots of good food, tried the local rum called Tinto Tinto, and got lots of fresh mango and fruits from the little market within walking distance. Overlooking the ocean- where we spent many hours reading and relaxing! Road to Fatima's Nest (the hostel we stayed at). Looking out of a little internet cafe we found. The restaurant and bar at Fatima's. The beach! The water was so warm and the sand squeaked under your feet it was so clean. We found this guy who does day trips for snorkeling and deep sea fishing. Although we didn't get to see any whale sharks, we did see dolphins, lots of fish and starfish, and sea snakes! The fish we helped (aka watched and tried not to get in the way) catch! The guy that took us has some connection with a small island resort called Linga Linga, where we took the fish and had it for lunch. Not only was it delicious, but it was by far the freshest thing I have ever eaten! We did a sunset snorkel and got back as the sun was fully set.